Chilli, Salt, Cumin, Garlic, Corriander, Mango Powder, Sesame Seed, Veg. Oil. Cut bread into half, apply green chutney and date, tamarind chutney on both sides. 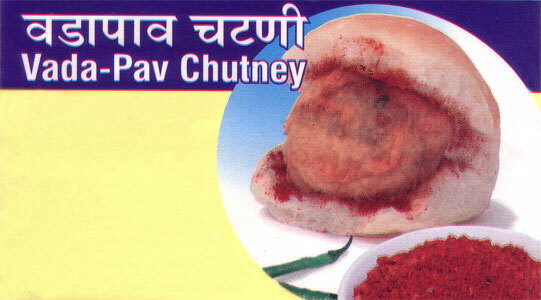 Place Potato Vada in bread and sprinkle Kapol Vada Chutney as per taste. Vada pav is ready to serve.